The Talk the of the town seems to be all about the “have you herds”, well seems to me that I herd,its all TRUE! Let’s put it this way, A little Bird told me, That Dallas is the new place to Be. 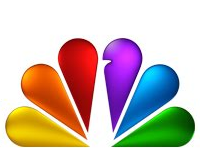 That Bird just so happens to be NBC and my ears are practically falling off from all that dam Chirping! Dallas TX, since the Super bowel, has for some time now waited for its big eruption of fame. From the coffee shops, to the shops at Highland Park Village, word is getting around of not just One but Four shows all under the wing of a Peacock. Could this be, is Dallas finally having its moment of fame? NBC, famous for many shows, there is no doubt that NBC is far from struggling to keep a float in the TV arena. After all, it’s sister Channel, Bravo TV, seems to be the addiction of all Americans, with its equally addictive President of Programming and host of Watch What Happens Live, Andy Cohen. Bravo has it’s talk as well, word is fast spreading of the wrap up to the cast of The Real Housewives of Dallas, a whole new bunch of southern bells with big hair, and big attitudes, HELL its TEXAS, it may just be the BIGGEST installment of the franchise for Bravo, the BIG word is A-List Dallas, which a certain hopeful and friend may just be in the cast, and if that wasn’t enough there came Most Eligible: DALLAS, which is almost done filming around town. So what could possibly be next for Dallas, After all it seems that Bravo seems to be hitting every major point of what this town is known for, its Holier Than Thou Housewives, The Bigger Than life A-Lister’s, and our Hopeful single girls looking for eligible hotties, so what’s left? Well, one major aspect is left, our BIG FASHION, and that birdie seems to be making a happy nest with the talent of Dallas’ up in coming. 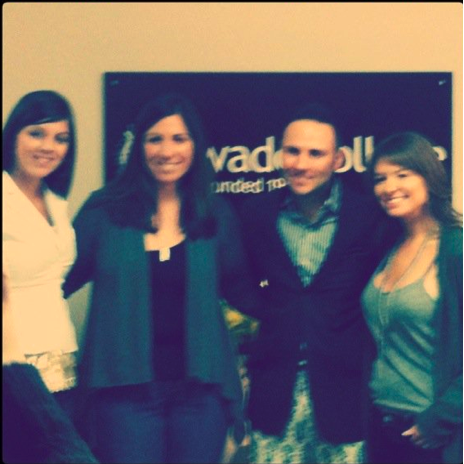 WADE College, today hosted open tryouts for a much anticipated competition show, FASHION STAR. That’s right, Fashion Star, a show soon to be the next big thing in competition programming. Host Elle Macpherson along with big heavy hitter Retailers will judge designers from all cities, walks of life, and all forms of talent. Dallas again, where CHANEL is almost considered a religion, has the spotlight. Talented hopefuls at Wade College filed in one by one with the chance to be the next FASHION STAR, without a doubt the few who are selected from the lone star state will leave a MIGHTY BIG mark in fashion. What’s next for Dallas?, who knows, what we do know is that we are not only ready we have been ready. Dallas will no longer just be known as a TV show, which come to find out is scheduled to have a revival. That little Birdie is chirping loudly and making a nest right here in our beloved city, the talented students of Wade College left their BIG impressions with NBC. After Try-outs fashion seemed to have been moved to a whole new level, based on those reactions of the casting team and producers. I’m Sure the V.P. of Wade College had never been so proud! After all, it takes Big Pride to run with this Big V.P. to many he might just be at the top of the A-List already, I would say, that little Birdie perched itself right on the shoulder of his Ralph Lauren suit. Dallas is hitting BIG, watch out for Fashion Star! The next big thing! And the students Wade College good luck to all who tried out!